I decided to make her a picture for her third birthday. 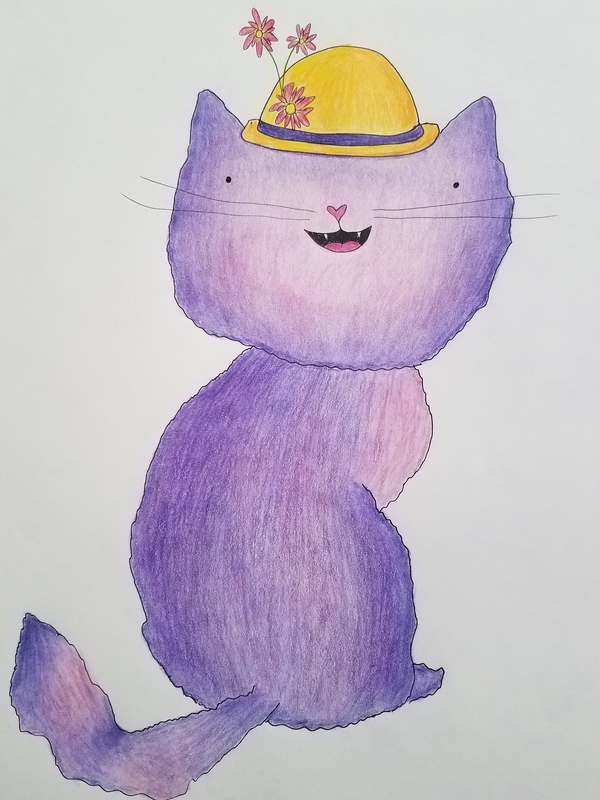 She loves pink and purple and informed me she wanted a pink and purple cat. I thought she really liked until the other night she said it was scary to her. Granted, she did have a fever and may have been hallucinating. Probably. I think the cat is rather sweet, especially her hat. Poor Hazel…hope she’s the sweetness when she ” unfevered”! Typo! Meant “hope she notices the sweetness when she is “unfevered”!